Two of the favourites to win this year's Confederations Cup, Germany and Chile, will be doing battle in Group stage competition on Thursday afternoon in Russia. Given that Chile and Germany have essentially identical odds of winning the tournament, you shouldn't be surprised to learn that the odds for this contest are very tight. As of this moment, three clubs - Germany, Chile and Portugal - all have identical odds of winning the tournament, which is an appetizer before next summer's World Cup in Russia. Chile and Germany are part of Group B, which also includes Australia and Cameroon. Both Chile and Germany are 1-0-0 so far in the tournament, with Chile easily besting Cameroon 2-0 in their first contest, while Germany had a bit of trouble getting past Australia, 3-2. 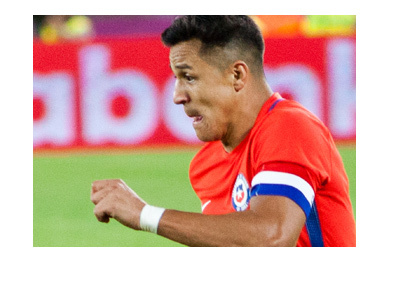 The winner of Chile/Germany, if there is one, would guarantee themselves entry into the next round of play, while the loser will have to win their final contest of Group stage in order to get through. Neither team wants to be involved in a do-or-die game this early in the tournament, which is why Wednesday's game is quite meaningful. There will be a great deal of talent on display in Wednesday's game, as the likes of Alexis Sanchez, Timo Werner and Sandro Wagner will all be participating. Chile is seen as having a very, very slight advantage when it comes to posting a win, as the likeliest outcome of the match is a 1-1 draw, though the second likeliest outcome is a 2-1 result for Chile. This will be some very high level football and I can't wait to see the match on Wednesday.